It'll feature more than 150 objects from King Tut's tomb — including 60 pieces that have never previously left Egypt. A new blockbuster exhibition is headed Sydney's way, delving into one of the most famous figures in history. Whether you loved learning about the past at school or prefer to get your history fix via flicks like The Mummy, there's something about Tutankhamun that always intrigues — and now more than 150 objects from the ancient boy king's tomb are coming to the Australian Museum. Set to grace the museum's walls in 2021, Tutankhamun: Treasures of the Golden Pharaoh marks a century since King Tut's treasure-laden resting place was first discovered by British archaeologist Howard Carter back in 1922. 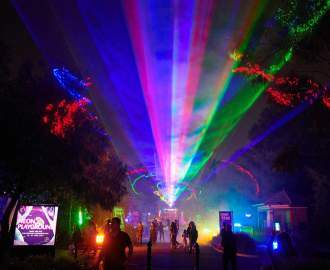 The exhibition's world-premiere season is currently running in Los Angeles — and while exact Sydney dates are yet been announced, it'll head to our shores for a six-month period, with the New South Wales capital becoming one of only ten cities around the world to play host to the showcase. Golden jewellery, elaborate carvings, sculptures and ritual antiquities will all feature, in an exhibition that "is exclusively focused on interpreting the significance and meaning of artifacts from Tutankhamun's personal tomb and includes," according to the Los Angeles season's website. 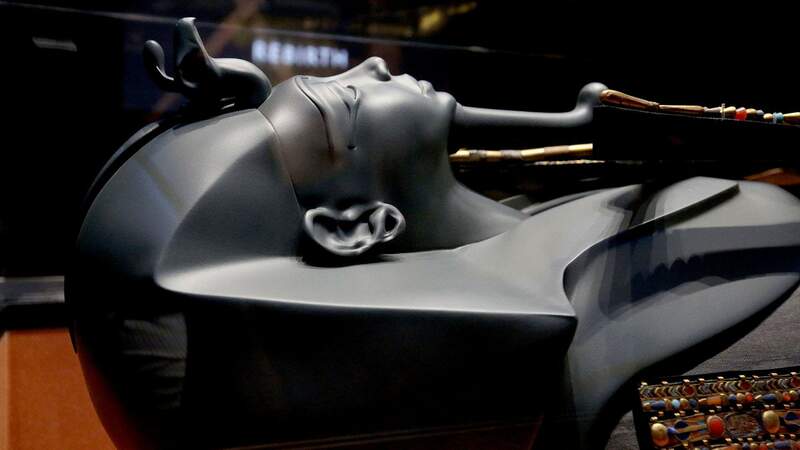 Visitors can expect to set their sights on a ceremonial bed that historians believe was made for the pharaoh's funeral, a life-sized wooden statue of Tut and a jewelled container that held his liver. Given it's the world's largest Tutankhamun exhibition outside of Egypt — featuring 60 pieces that have never previously left the country — it's a rather big deal. It's also the final time that these items will leave Egypt, as they're set to be permanently housed in the new Grand Egyptian Museum in Giza, which is due to open this year. Tutankhamun: Treasures of the Golden Pharaoh's trip to Sydney will be made possible by a $50 million upgrade to the Australian Museum, which will enhance the facility's ability to host large-scale exhibitions. "Repurposing existing storage space will see the significant expansion of the touring exhibition halls to 1500 square metres across two levels – allowing the Museum to host either one big blockbuster or two exhibitions simultaneously," said museum director and CEO Kim McKay. Tutankhamun: Treasures of the Golden Pharaoh will display at the Australian Museum in Sydney in 2021, with dates yet to be revealed. For more information, keep an eye on the Australian Museum website. Images: AP Images / King Tut: Treasures of the Golden Pharaoh at the California Science Centre.